The city of Newport, Rhode Island was founded by English settlers in 1639. By late 1700s, Newport became one of the five principal ports in the North American colonies. At present, Newport continues to embrace progress and strives to remain vibrant and vital in the coming years. However, the city is most known for one thing – historic mansions. Although there are many mansions to choose from, we’d like to highlight a few we know every history buff would be sure to enjoy! During the Gilded Age, southern planters and high society folks began to flock to Newport during the summer months to escape the brutal heat of the south. Among these summering families were the Vanderbilts. 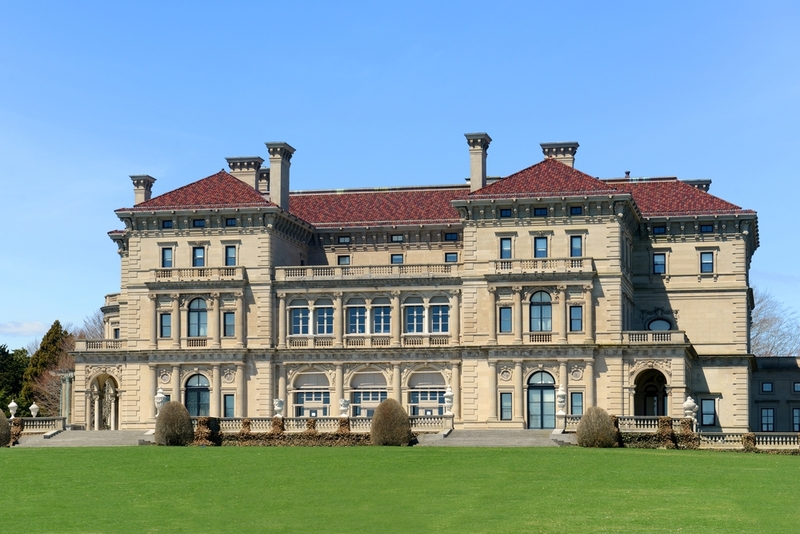 During the last decade of the 19th century, Cornelius Vanderbilt II decided to build a summer home in Newport that would be called The Breakers. Cornelius Vanderbilt II bought the land for The Breakers in 1885 for $450,000. This would equate to over $12 million in today’s currency. He worked with famed architect Richard Morris Hunt to rebuild the home that had been previously destroyed by a fire, and work to make it fireproof this time around. This included placing the boiler away from the home located underground in the front lawn area. It took 10 years to complete all the renovations, but at the time of completion, it was the largest most extravagant house in Newport. Cornelius died only 4 years after the house was completed, leaving the property to his wife, Alice. When Alice died some 30 years later, she left the property to her youngest daughter, Gladys. Gladys loved this home so much that she wanted to make sure it was taken care of. She leased it to The Preservation Society of Newport County for $1 per year. The society bought The Breakers in 1972 from Gladys’ daughter, under the contingency that she be allowed to live there. The Vanderbilt family is still allowed to reside in the house, specifically the third floor, which is not open to the public. 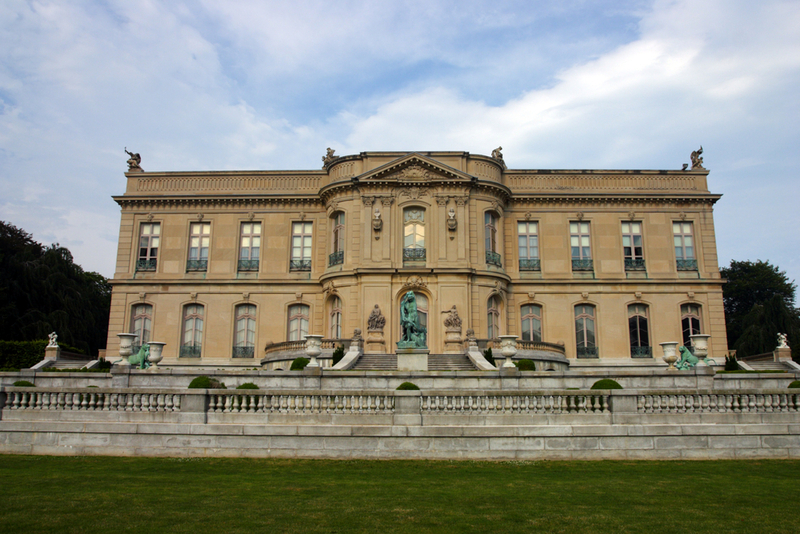 It is one of the most visited attractions in Rhode Island. The Elms is the second stop on our historic mansion tour. This beautiful home was built as a “summer cottage” for Edward Julius Berwind, a coal baron. The original building on the property was torn down in 1898, when Berwind realized that the cottage was too small to adequately host grand parties. The new home was designed to mirror the style of Chateau D’Asnieres in France. Completed in 1901, the mansion cost around $1.5 million to build in today’s currency. After Berwind and his wife died, the home was willed to his sister, Julia. Julia did not have too much interest in the home, but still resided there until her death. In 1962, a year after Julia’s death, the historic home was purchased by the Preservation Society of Newport County, saving it from inevitable demolition. The last stop on our tour of wealthy Newport is Marble House. Another Vanderbilt mansion, Marble House was built in 1892 for Alva & William Kissam Vanderbilt. Similar to the Breakers, Richard Morris Hunt was also employed as architect on this project. 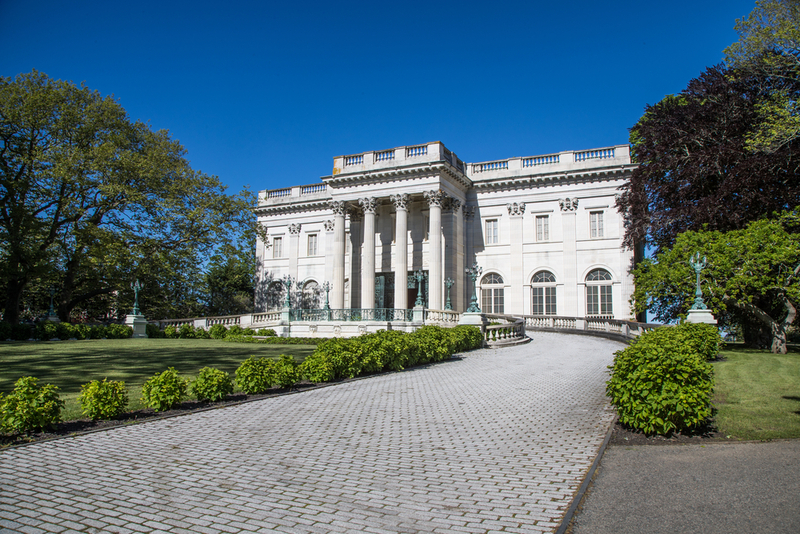 Marble House marked the beginning of Newport’s transition from a sleepy summer port, to a maze of impressive castle-like mansions and grand parties. This extravagant home switched hands over the years, starting with William and Alva’s divorce in 1895. Alva gained ownership of the property in the split, eventually adding the Chinese Tea House on the property’s seaside cliff, known for playing host to women’s suffrage rallies. After the passage of the 19th amendment, Alva became president of the National Woman’s Party, and held that position until her death in 1933. The Preservation Society of Newport County obtained this property in 1963, and it is open to the public for tours. As you may have noticed, all three of these historic homes are owned and operated by The Preservation Society of Newport County. You can purchase single tour tickets and/or tour packages on their website. 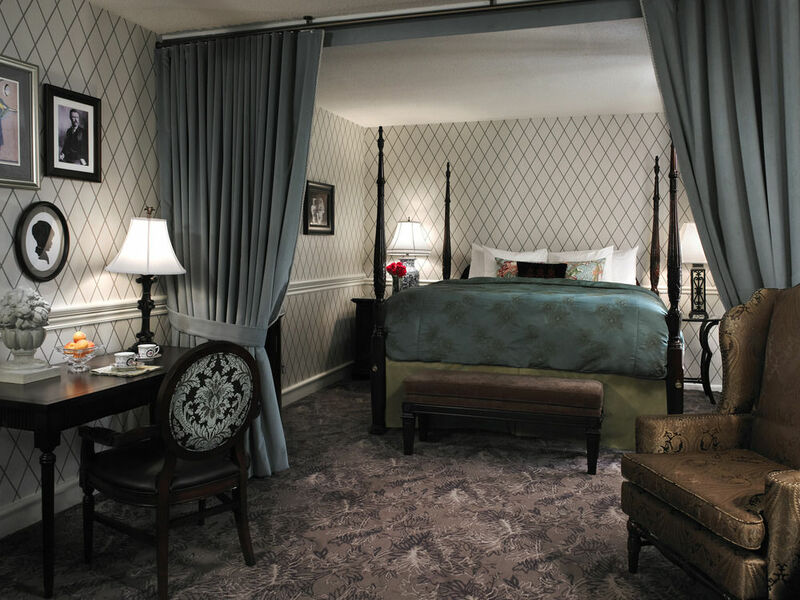 Looking for a place to stay close to this trip down Gilded Age lane? The Gardenview Bed & Breakfast is a charming local retreat just a 5 minute drive to The Breakers. This quiet cottage also has a fish pond with a waterfall, for extra tranquility. The Hotel Viking opened as a luxury hotel for the wealthy in 1926, and remains a beautiful and historic accommodation. And lastly, the La Farge Perry House is a lovely historic bed & breakfast where stained glass artist and painter John La Farge once lived with his wife, Margaret. Built in 1853 by mining magnate Alexander Aggassiz, the home was soon purchased by La Farge in 1861.